The Sixth Judicial District Commission on Judicial Performance unanimously recommends that Judge Martha Tinsley Minot BE RETAINED. Judge Minot was appointed to the County Court bench in March of 1995. 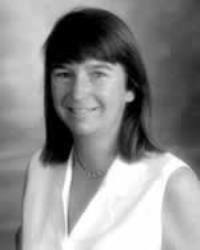 Prior to her appointment, she served as a part-time Magistrate and had been in private practice in La Plata County for 10 years. Judge Minot obtained her undergraduate degree with honors as well as her JD from the University of Colorado. Judge Minot is very active in volunteer work for benefit of the judicial system, including writing and participating in several mock trials for elementary school children each year and serving on a variety of committees both locally and in the State of Colorado, including serving as the current chair for the Judicial Discipline Commission and the Colorado Criminal Justice Coordinating Committee. Most recently, she has assisted with the development of the attorney mentoring program through the local Bar Association. Judge Minot presides over civil matters involving less than $15,000, traffic and criminal misdemeanor cases, and the filing of criminal felony bond returns in her court. Judge Minot also presides over two Problem Solving Courts; the Adult Drug Court and the Behavioral Health Court. While Judge Minot received an overall combined average rating in the survey results from both attorneys and non-attorneys which was below the average combined rating of all county court judges standing for retention this election, her overall combined average rating was above the rating level prescribed by the governing rules for the Commission to recommend retention. Comments regarding Judge Minot commended her for her diligent work in establishing and presiding in the non-traditional Problem Solving Courts, and her volunteer work for benefit of the judicial system. Judge Minot was further described in many of the written comments as being fair, treating those who appear before her with dignity and respect, and exercising good control over her courtroom with the ability to handle a large docket.